Rhymes With Snitch | Celebrity and Entertainment News | : Chrisette Michele Ends Her Marriage? 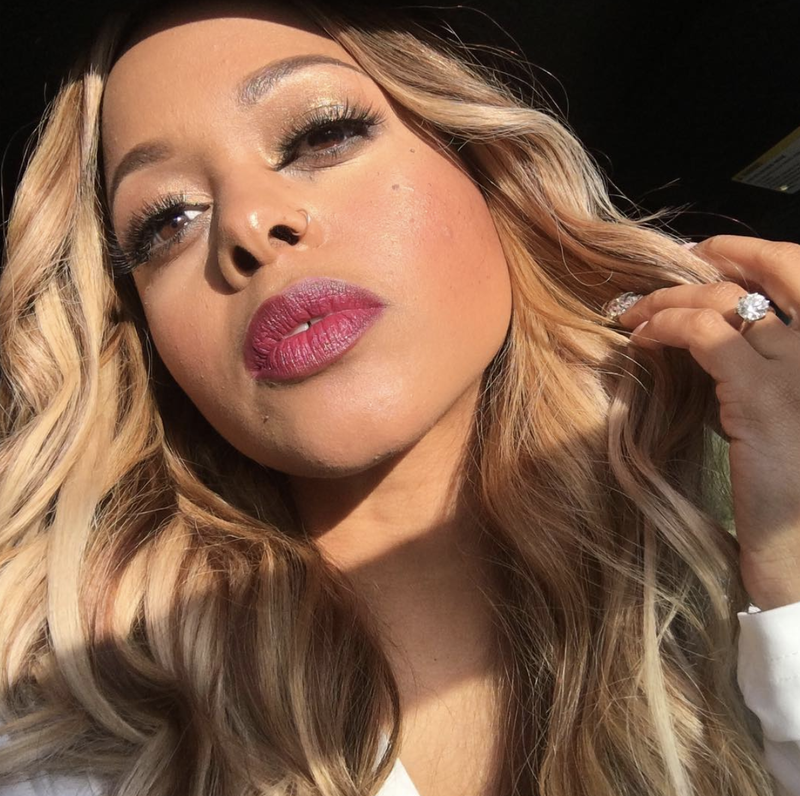 Chrisette Michele Ends Her Marriage? 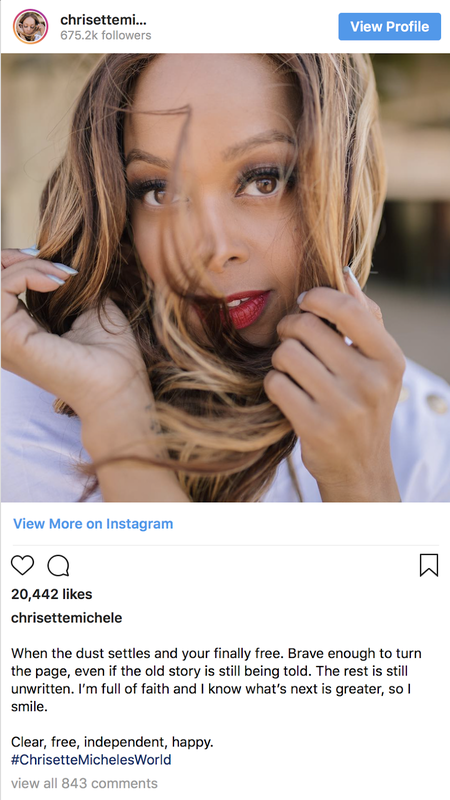 This week Chrisette Michelle deleted everything from her Instagram account except for a picture of her conspicuously bare ring finger, along with a caption about letting go of the past and being free and independent. Fun Fact: In 2017 Chrisette Michelle offended the majority of her fan base after agreeing to perform for Donald Trump's inauguration [click here if you missed that]. Is Chrisette Michelle transitioning into a white woman? It sure does look like she is. She needs to get off all social media and see her mental health provider ASAP. In private. ^^^^ Where did all of that come from. Any who best of luck to her she is on a roller coaster right now with her music career hopefully she will be back and bring some good music with her. Keep your head up girl God got you. I don't think she's transitioning but you never know. If so, she'll get her wake-up call soon enough—unfortunately, that's usually when the therapy starts. And the problem is not that we don't get therapy, the problem is who we seek out when we need a therapist. And so it goes. She's always been a weird one. She should spend this time to get her mind right and there's help out there, if she wants it. With that blond wig on her head she looks like one of the Wayans brothers, from the film white chicks. Chrisette Michele is coo-coo for cocoa puffs, I wouldn't be surprised if her marriage is over. I never should have watched that reality show, I don't hear her the same as I did before. @1:15 I agree with you, she does look a little "bleached". Dang I didn't even know she was married!!! YOUR and YOU'RE. I really need people to figure out the f-ing difference. ^^^ I think you really need a job or something to keep your mind occupied and not focused on incorrect grammar or punctuation. She is a weirdo. She seems to have the personality of a sloth. I have a job. My job is to focus on incorrect grammar and punctuation. It's low-lying fruit and underachievers such as yourself why we never set a bar and reach higher as a people. She is eccentric but I love her eccentricity. She is gorgeous and has an amazing voice. Wow ! Its really sad to see her transform herself into a white woman. SMDH I was looking at some old pictures of her and she looks like a totally different person. Great news, Thanks for sharing your article. Thank you for 3:35 and that read! !